Why am I sharing this with you? I have NO idea other than to show the world the brief lapse in judgement I had. Things like this never happen to me... (insert sarcasm here). I was glancing through a magazine the other day looking at all the pretty pictures. It seems that magazines lack content anymore, but that could just be me. Anyway, I stumbled upon a nice little ad. Surprised. Not really. On this particular page, there was a jar. On top of this jar was a box. This box contained the words "Scratch-N-Sniff", which seemed to be flashing and yelling my name. See...I'm a sucker for Scratch and Sniff paraphernalia. Maybe it's my age. At one point in my life, I owned EVERY type of scratch and sniff pencil, marker, sticker, paper, shirt, jewelry, and eraser known to man. Can't imagine why I now have an obsession with Bath and Body lotions? Seriously, I have like TWELVE different scents in my possession. So when I saw this ad, I was THRILLED! 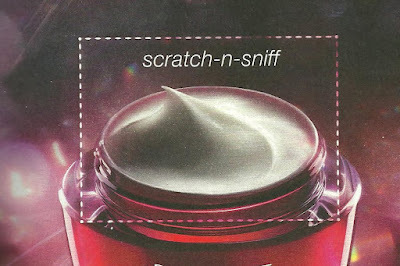 SCRATCH AND SNIFF! Who could resist? I gave in to my temptation and started scratching away. I sniffed. Nothing. I scratched again. Nothing. I scratched a little harder worried that I might damage the paper. Nothing but the smell of magazine paper. I reread the instructions worried that I read it incorrectly. SCRATCH - N - SNIFF. I obliged one more time and scratched away. Still nothing! Guess that marketing ploy worked. I'll always remember this product...even it I wasted half a day trying to smell a non-smelly ad! Ugh. Thought I'd share in case you come across this ad. 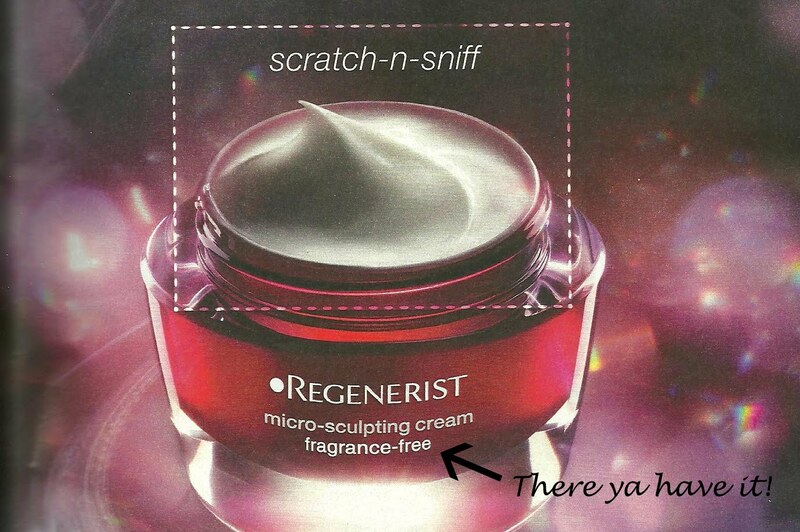 It might save you some embarrassment if you're sitting in the doctor's office trying to scratch and sniff the same little box for the millionth time. Hahaha!! You're such a dork! !